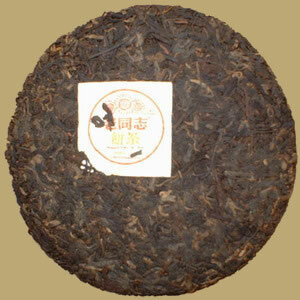 Mr. Zhou Bingliang said that Pu-erh should be an affordable tea to the general public. It is, "Lao Tong Zhi" says it all. Haiwan always offer premium Pu-erh Tea at very reasonable prices. This classic "Yellow Character" cake was first introduced in 2004 from Haiwan Tea Factory, the flavor is rich, mellow and long-lasting, widely loved by Pu-erh lover. Suitable for drinking now or putting away for further aging.